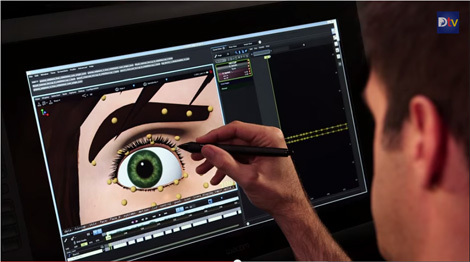 With the rise of companies like Disney, Blue Sky, Sony or Illumination Mac Guff relying entirely on the “off-the-shelf” Autodesk Maya which most animation students are familiar with, Dreamworks and Pixar had to revamp their ageing proprietary softwares to attract and retain talents. Presto for Pixar and Premo for Dreamworks seem to have now totally leapfrogged the commercial Autodesk offering by making the most of the numerous cores that current CPUs have made available for years, to the addition of on board GPUs. Dreamworks used to be really secretive about EMO, their home made animation software, but things are changing. 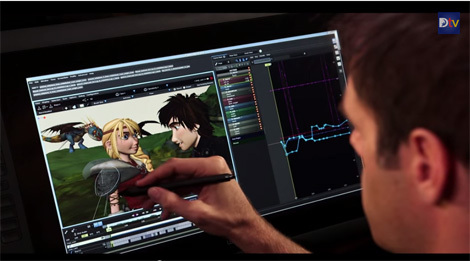 With the release of Dean DeBlois’ “How to train your dragon 2”, several videos and articles have emerged showcasing Dreamwork’s new Premo animation software running on the latest Apollo technology. The technology looks so ground breaking that the ASIFA offered Dreamworks an Ub Iwerks award at this years Annie awards. 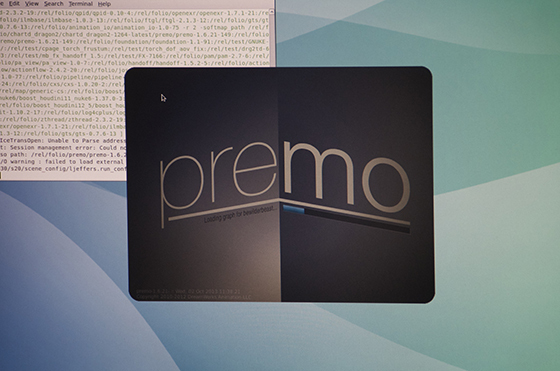 Premo looks very fast and intuitive. 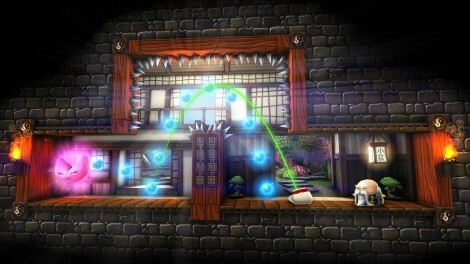 Instead of having to keep a separate sizable GUI on the screen, the controls are right where you expect them to be and they magically appear when the cursor hovers over the actionable areas, signifying to the animator that the highlighted area can be animated, liberating a huge screen real estate compared to GUIs. Additional controls like IK/FK switches I am guessing can still be accessed through the related spreadsheets when needed obviously. Premo also offers a dramatic speed improvement compared to Emo as animators don’t need to recalculate after each action and rig can also be played real time in the viewport without needing to use proxy models. Don’t believe me? Watch the following videos! You want to be a rigger huh? The last few month have been really busy with a secret project I can finally talk about. 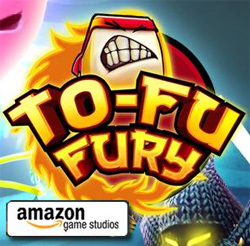 I have been privileged to get involved with “Tofu Fury”, a launch game for Amazon’s Fire phone, a pretty cool mobile device that among many other features, can track the head of the user thanks to four additional cameras and simulate 3d in a manner that hasn’t been seen to that level of depth on a mobile device yet. If you want to know more about the phone, The Verge got it all covered with several articles. The Mayday feature will be of a great help to my mom and dad who just don’t understand how to operate a smartphone. I still can’t divulge too much about our game but it is coming very soon and it was awesome to have it demoed on stage by Amazon’s CEO Jeff Bezos himself when the device finally got announced two weeks ago. Funny enough, he called the game “Angry Tofu” because the idea delighted him and the title caught up with the press to the dismay of our producer and our studio owner. Working on the game was a great challenge as on top of being the animator, I was also the Character TD and it was the first time I relied so much on Morph targets (blend shapes) in Unity (the game engine we used). Since blend shapes are really new to the version of Unity we used and there were so many horror stories on the Unity forum, I tried everything I could to stay away from them and use bones and joints deformation instead but blend shapes were ultimately the best way to create the stylized deformations we were after. As the main character is 100% animated with blend shapes, “Tofu Fury” is a testimony that blend shapes are perfectly reliable in Unity. I even went to the extent of using blend shapes for some of the bad guys and “non-playable-character’s” (NPC) skin deformation that are traditionally handled through joints and the result was visually more pleasing and less resource intensive, at least for the test we did we Martin, our programmer mostly involved with character animations. 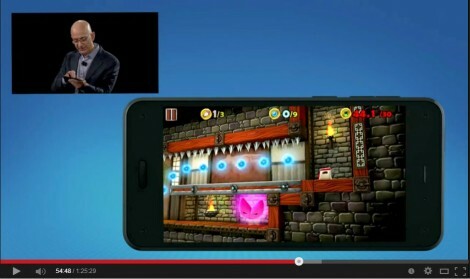 Ok, I think that is all I can say for now so here is a video of Jeff Bezos demoing our game.